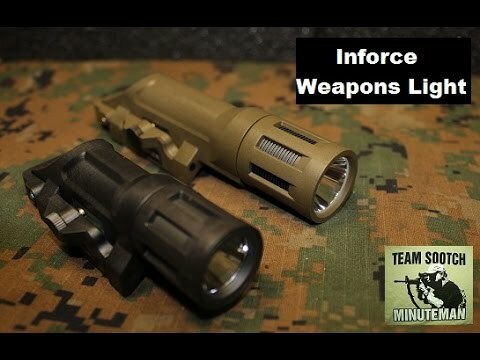 Ergonomic, compact, and light weight at just 4 ounces with a battery, the Inforce WMLx Weapon Light is an innovative piece of gear that better accommodates today's rifle shooting styles. The WMLx Weapon Light produces 500 Lumens of penetrating white light. The Multifunction push button switch features Constant On, Momentary, Strobe, and Strobe Disable. The increased light output of the WMLx produces a concentrated spot and a generous peripheral beam. Ideal for illuminating, target acquisition, and identification at long distances as well as being perfectly suited for more concentrated work. Modes are switched via an easy LED selection lever allowing constant and strobe or momentary only functions to be selected. The angled activation button design is placed in a natural position allowing easy access eliminating the need for a tape switch. 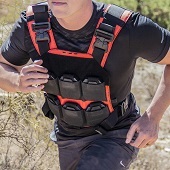 The WMLx features dual lockout safety positions which prevent accidental discharge. A safety lever which can be engaged and disengaged with your thumb blocks the push button, or alternatively, you can twist the bezel 1/4" turn to disable the light entirely. Integrated tool-less mounting system compatible with all picatinny (MIL-STD-1913) rail systems via the patent pending clamp/locking system.